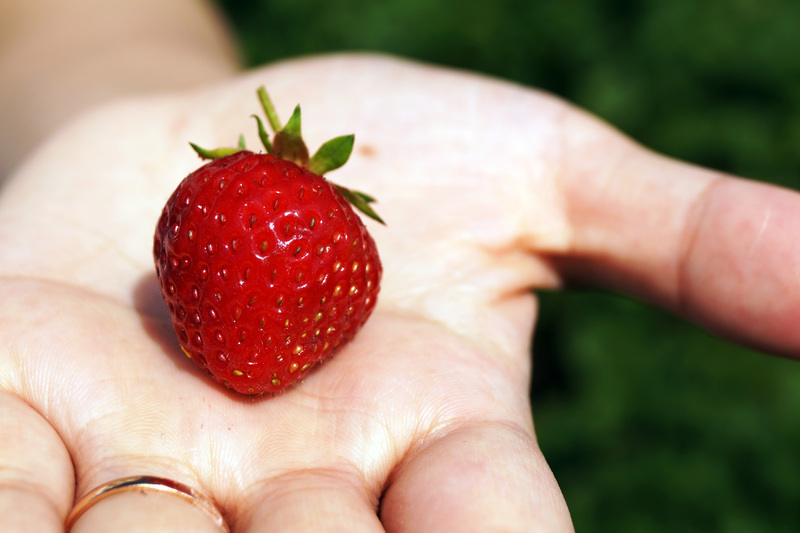 Anyways, why visiting a strawberry farm? There are actually two reasons for this. One, my wife always wanted to visit one and handpick herself strawberries (she loves strawberries) and second, my parents in law could not imagine picking berries themselves and eating them without some very thorough cleaning. Especially the second part seemed to be an impossible task for my father in law due to his OCD. Nothing is ever clean enough for him except he cleaned it himself three times. But imagine our surprise when he went and started picking up strawberries without gloves and ate them without any cleaning. When my wife asked about it he just shrugged his shoulders and said “It is so much cleaner here than in China” and continued collecting more strawberries. No further information given by him but he looked relaxed while walking those fields and searching for the biggest and reddest berry yet. All my wife managed to say about it was “I don’t believe what I am seeing” and stared at her father. Besides being busy with collecting and eating strawberries my parents in law were also surprised that there were so many people in the fields instead of just buying the berries from the supermarket. 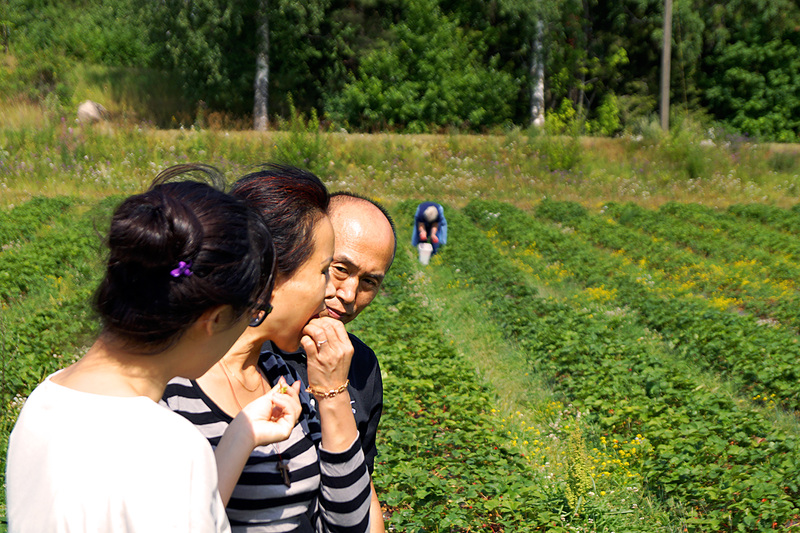 According to mom in law there wouldn’t be many people in China going to the countryside to spent hours on a field picking some strawberries and then paying for them. 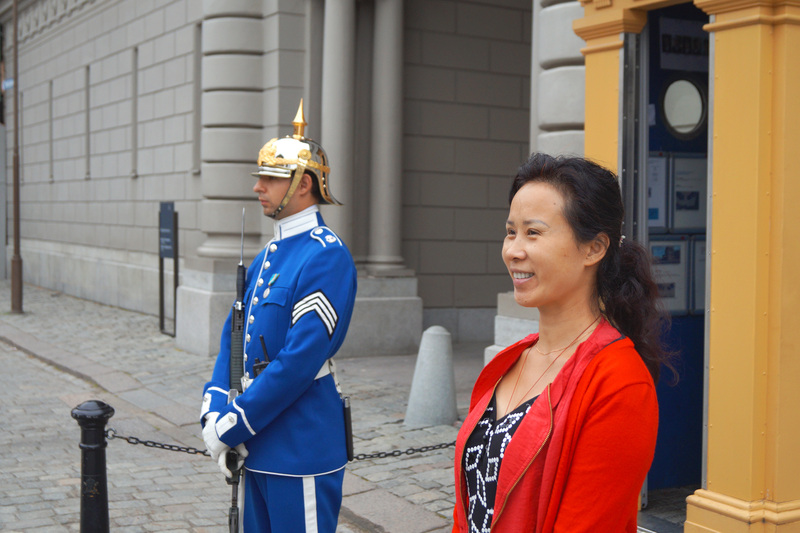 Later on my wife told me that her parents had never done anything like this before so I guess it was a nice first day in Finland for them. On a side note: I did not collect even a single strawberry as I was more content filming everything and furthermore my father in law seemed to overcome parts of his OCD as he even touched one of our rabbits, he has not touched a single animal in a long long time. The closer mom in law’s arrival day for her next visit gets, the more my wife gets frustrated. Not so much by the fact that she will have to endure her own mother for three months, oh no, it’s the calls and messages she receives from her mom. It goes even that far that my wife tries to ignore the calls at some days or not even looking at the messages and the reason is very simple: She knows exactly what her mother will ask her again. And the conversation goes on … surprisingly even though my wife loathes those calls they can take several hours a day. I am especially amused by the part of winter clothes which comes up in every call. Not just because of the constant repetition of it but more because I know how much mom in law loves shopping (soon she might be a shopaholic). So each time she asks her daughter she tries to get something like a “permission” to go on a winter clothing shopping frenzy. Granted, she needs winter clothes but for the short time until we buy clothes together, she will get some stuff from us. Do you have similar stories about calling your mom or family?